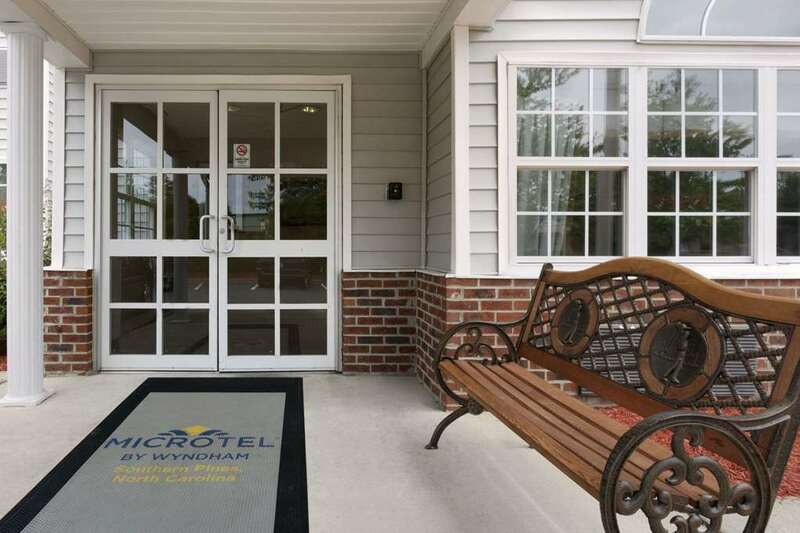 Conveniently located within miles of over 40 world-class championship golf courses, restaurants and the historic villages of Pinehurst and Southern Pines, this Microtel Inn by Wyndham Southern Pines offers comfortable accommodations at an affordable rate. The Moore County Airport is five miles away. Fresh coffee in the lobby and evening social receptions on the weekend are enjoyable extras. There is also a 24-hour fitness room, business center, 24-hour guest laundry facilities, and ample large-vehicle parking with electrical outlets for your truck or RV. Complimentary breakfast starts the day off right and complimentary wireless Internet access keeps you connected. Rooms feature plush DreamWell bedding, work desk and hairdryer, and select rooms offer refrigerator and microwave, ideal for longer stays.